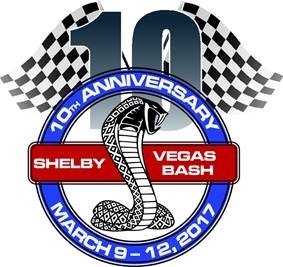 Come join Hillbank & Superformance for the 10th Annual "Shelby Bash" which will be filled with full-throttle fun from Thursday, March 9 through Sunday, March 12, 2017, in Las Vegas. While NASCAR is in town, Shelby's multi-day event will feature an exciting lineup of celebrities, performance cars, track days, parties, tours and more. This celebration of the event's 10th Anniversary will be an amazing experience. Enthusiasts from around the world will share personal stories, enjoy exciting driving opportunities and celebrate their passion for motorsports. Due to the expected surge in interest, attendance to this year's bash will be limited. Hurry to snag your tickets today before they are gone. Build your own experience with A LA CARTE & All-Inclusive Options, including activities starting in both Los Angeles & Las Vegas! Purchase 2017 Shelby Bash tickets HERE! Starting in Los Angeles? Get revved up for the 10th Annual Shelby Bash during an evening of Shelby Under the Stars! Join us at the famed Beverly Hilton Stardust penthouse for an exclusive event benefitting the Carroll Shelby Foundation. It's an opportunity to shine under the "Hollywood stars" as we gather to raise money for a worthy cause and celebrate 10 years of this spectacular Shelby event! Please show your star-power by purchasing your ticket HERE!